In 1982, Rachel Smolker traveled to Monkey Mia, a remote spot in western Australia where she’d heard wild dolphins regularly interact with people. She had no intention of staying long; she simply wanted to see if the rumors were true. That initial trip changed Smolker’s life; it commenced a fifteen-year scientific obsession that has culminated in this fascinating scientific adventure story–the first-ever intimate account of dolphin life in the wild. 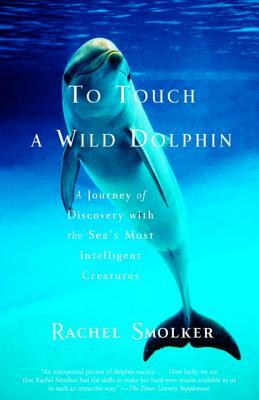 To Touch A Wild Dolphin is a seminal work that radically alters our fundamental understanding of these enigmatic creatures. Learning to identify scores of dolphins by their dorsal fin, Smolker and her team of scientists were able to conduct close and consistent studies that revealed the dolphin to be even more intelligent than we’d previously suspected. And while they were every bit as playful as we’ve known them to be, they also proved to have a dark and alarmingly violent side. But more than just a document on dolphins, this book is a touchingly personal look at the life of a scientist, at the rigors and sacrifices but also the wonders and joys of unending days in the field. Written with prose poetic and pristine, this book is nothing short of a landmark. Rachel Smolker cofounded the Monkey Mia Dolphin Research Project in 1982, which continues to produce groundbreaking insights into virtually every aspect of dolphin life. She has participated in other studies of dolphins and whales all over the world, including British Columbia, the Bahamas, and New Zealand. She has also observed various species of primates in Southeast Asia, Central America, and Madagascar. She is currently a research associate at the University of Vermont and maintains an affiliation with the Museum of Zoology at the University of Michigan, where she completed her doctorate. She lives in Vermont.